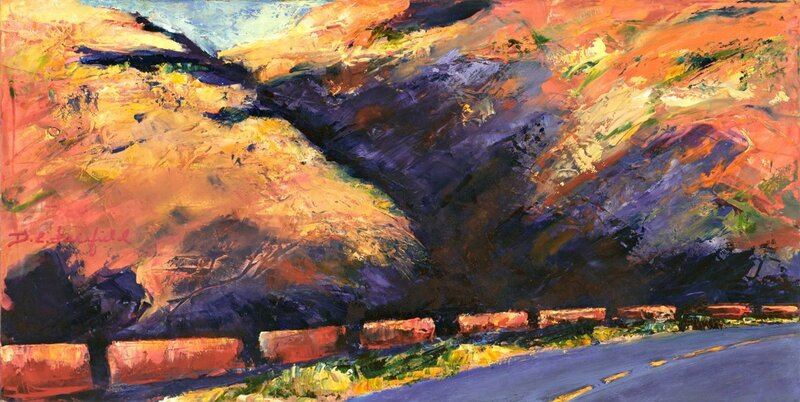 Contemporary southwest mountain landscape, part of the "High Places" series. Oil & mixed media on panel, 6" x 12" x .75 with edges finished in black. No need to frame, ready to hang. 5" x 6.25"8" x 10.25"11" x 14"14" x 17.75"17" x 21.75"20" x 25.5"